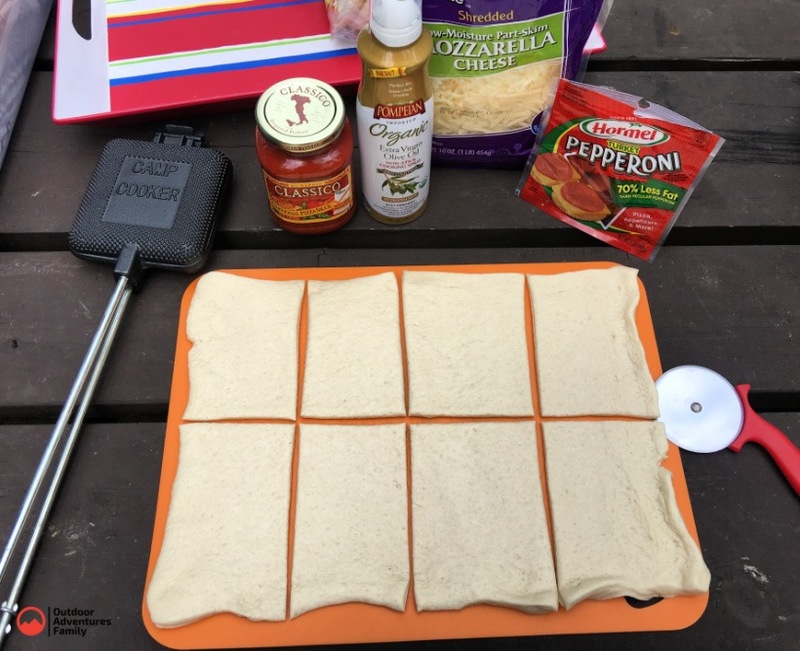 Have you ever made a campfire pizza? 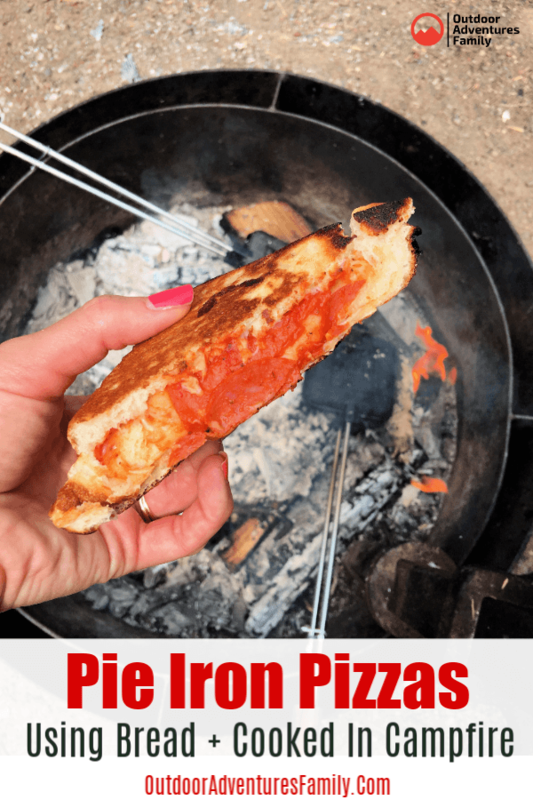 It’s easy with these pie iron recipes for pizza! 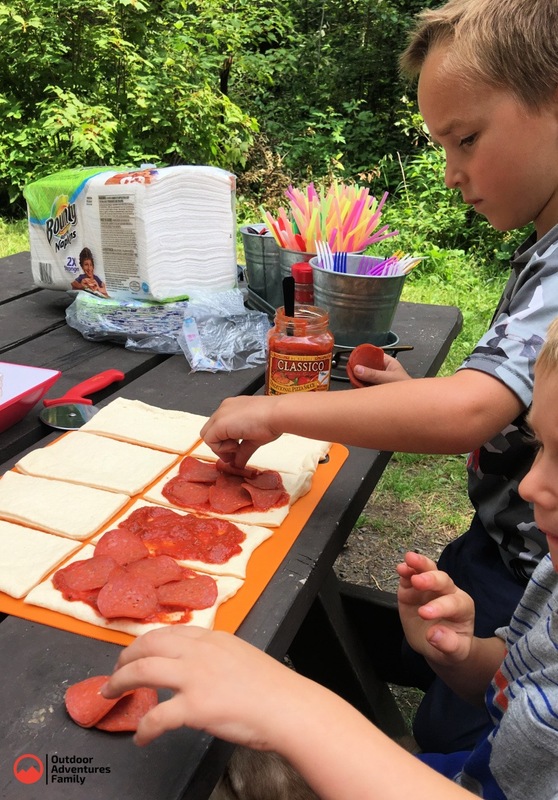 Each camper can easily assemble their own campfire pizza and cook it over the campfire. Enjoy it in a matter of minutes! 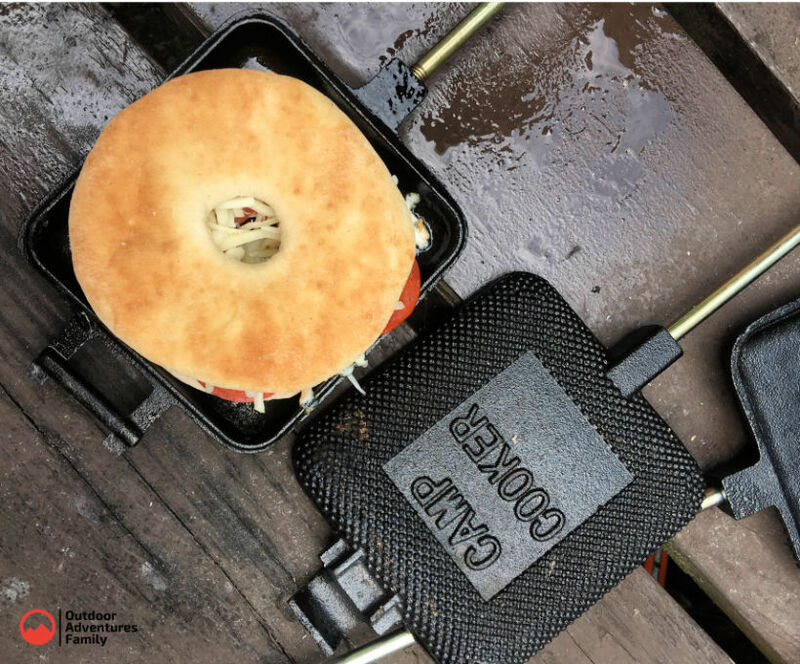 Fun and easy camping food idea! 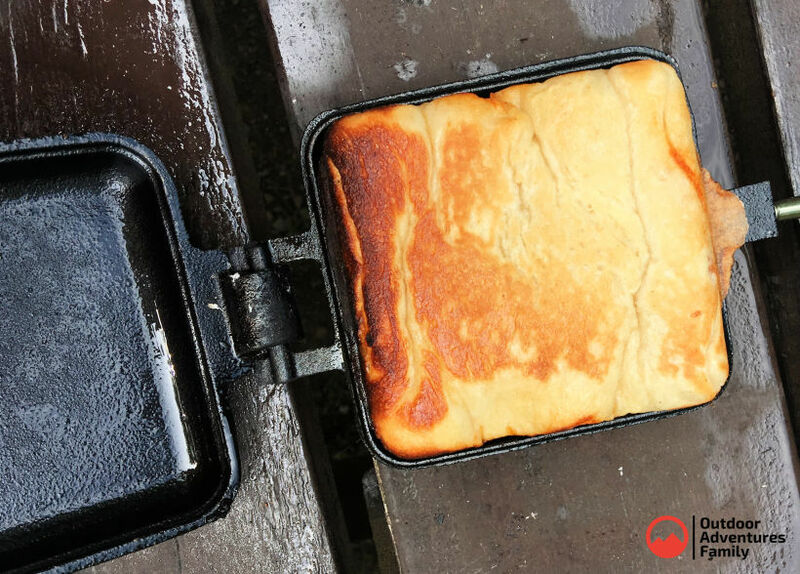 If you haven’t ever tried using a pie iron while you are camping then it is definitely a must-try! 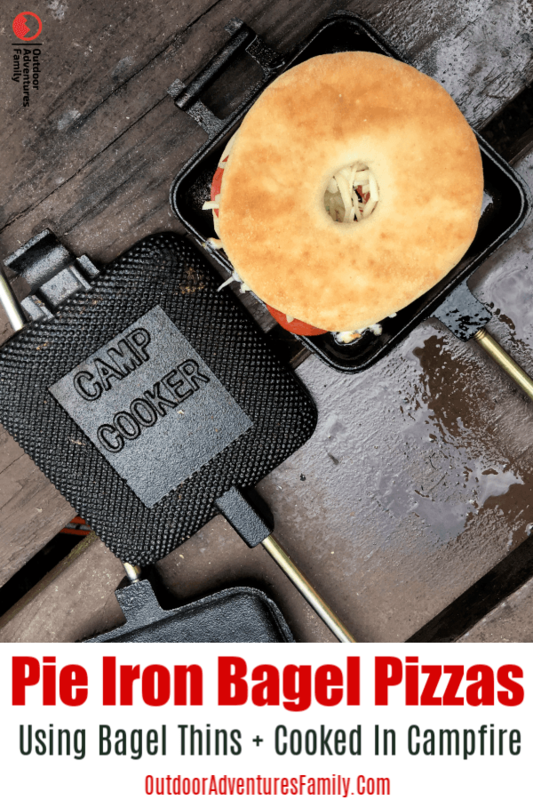 You can make everything from campfire pizzas to pie iron pies!! So yummy and easy. 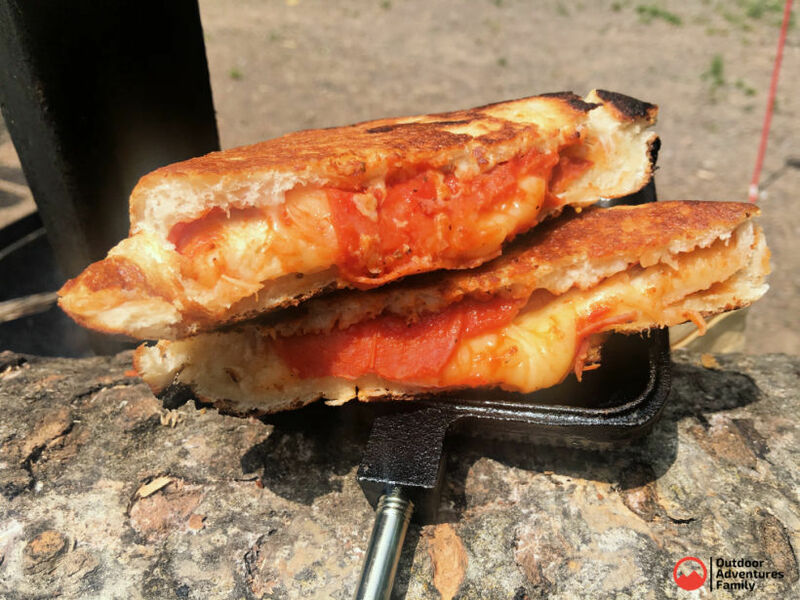 These campfire pizzas go great with campfire donuts so be sure to grab that recipe for dessert and check out our collection of 30 campfire recipes! You’ll want to make sure you buy a quality pie iron to begin. 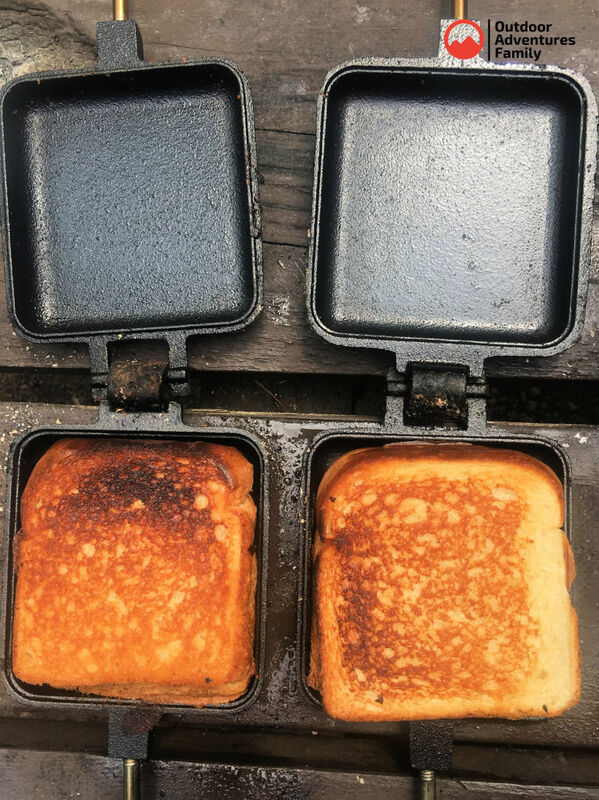 We have four of them for our family of six which makes it easy to make all four of the kids their food first and then make ours while they eat. 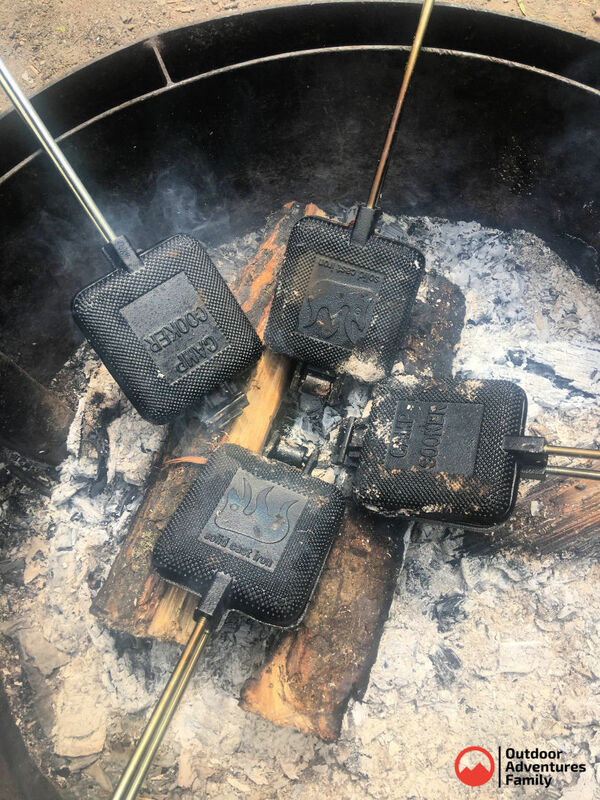 There are several ways to make campfire pizzas with your pie irons and I’ve gathered up three of the most popular methods. The first pie iron recipe is my favorite! 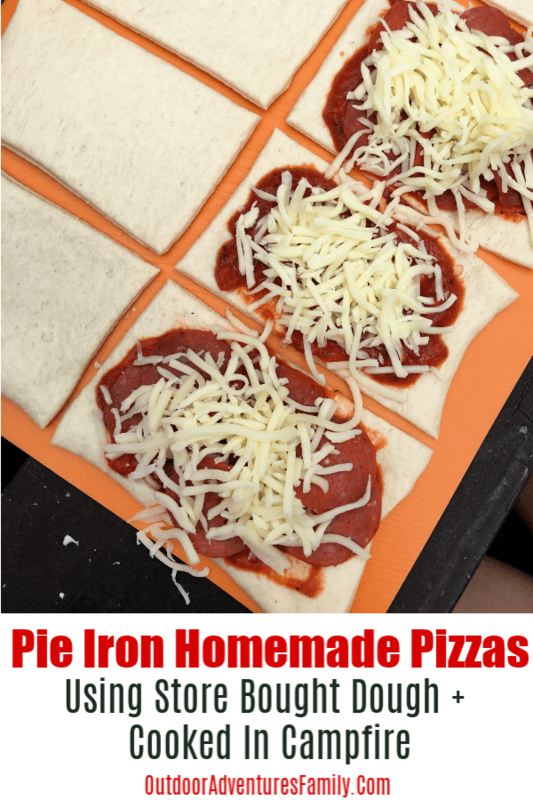 These pie iron pizzas are made using store-bought pizza dough, pizza sauce and toppings. It gives the best flavor in my opinion! 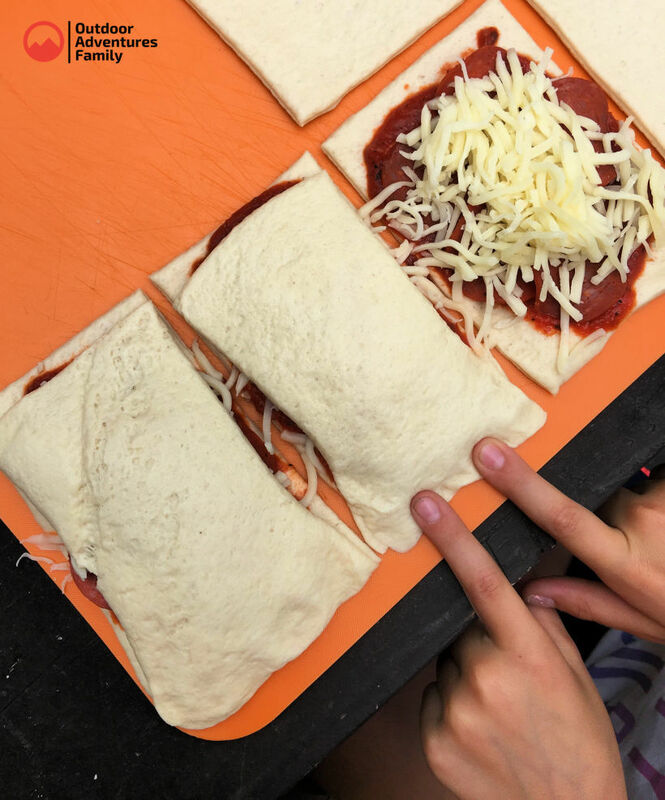 Begin by rolling out the pizza dough on a cutting board. 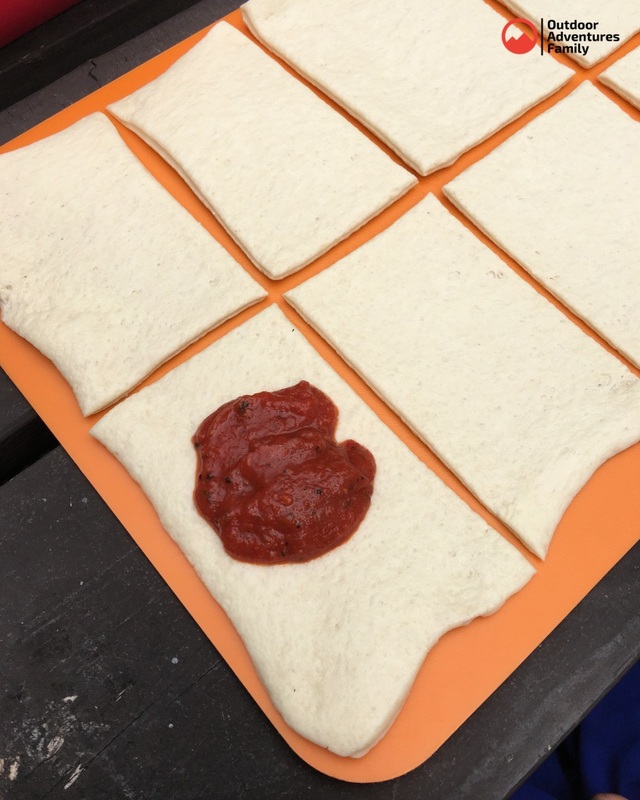 Slice the dough in 8 even, rectangles or squares (to fit inside your pie iron). Each set of two pieces will make one pie iron pizza. 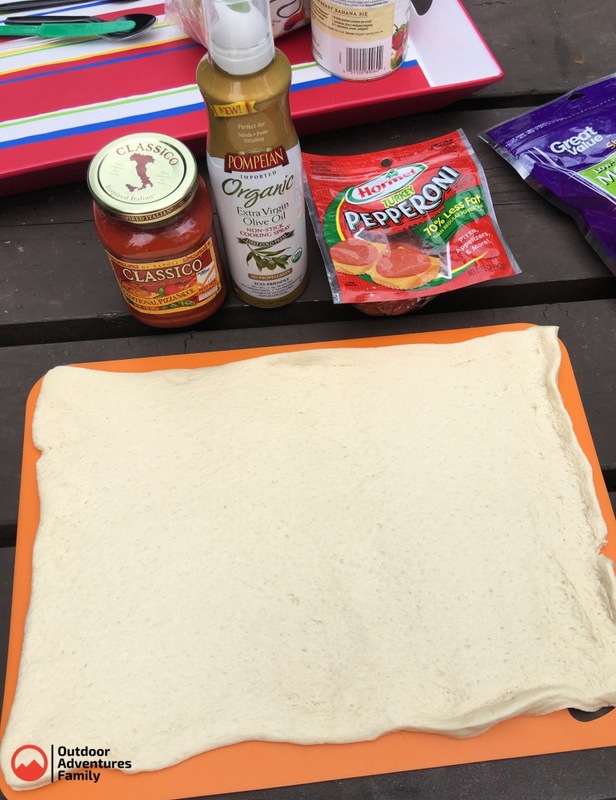 Add pizza sauce to one side of each pie iron pizza set. Top each sauced dough piece with cheese, pepperoni and whatever other toppings you love. Make sure you let the kids make their own because that is half the fun! Next, place the opposite piece of dough over the top and use your fingers to press the edges shut and form a seal so the contents don’t leak out while cooking. Now, grease the pie iron (both sides) really well with oil. You don’t want the dough to stick so be generous with the oil! Place the dough pie iron pizza inside the pie iron and latch it shut. Cook your pie iron pizzas for approximately 3-5 minutes on each side. Check your pie iron pizzas for doneness and cook longer if necessary, until the dough is cooked through. Slice in half, diagonally and serve. They will be hot so be careful! 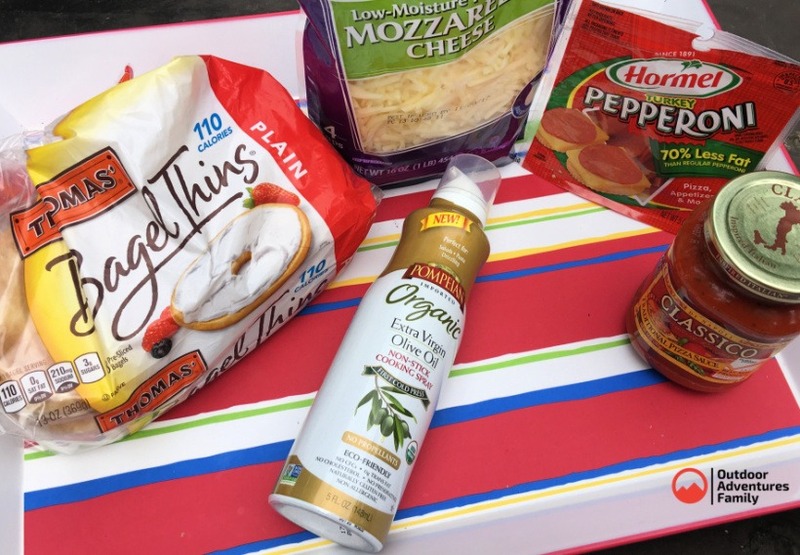 Using bagel thins or bagels as your pie iron pizza crust is a great twist on a favorite recipe! 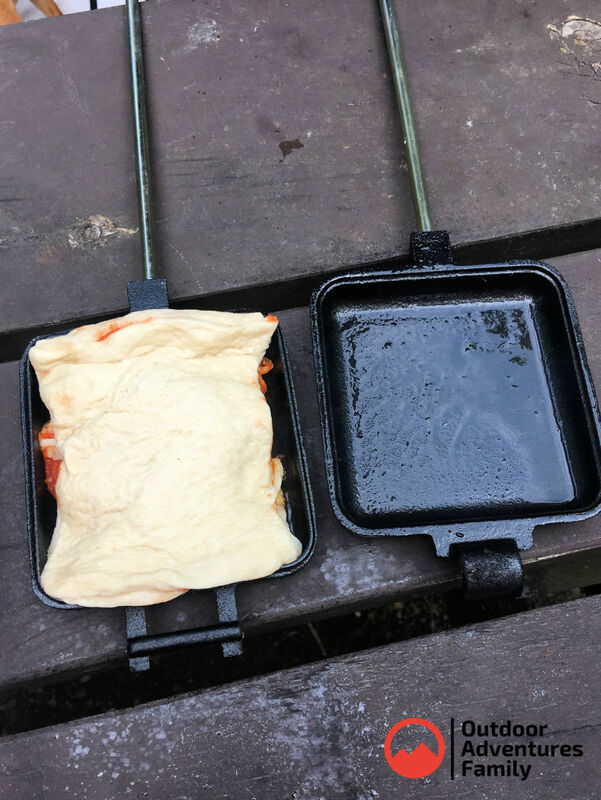 It is also a really easy and mess-free way to make pizzas over the campfire. Begin by greasing your pie irons on both sides. 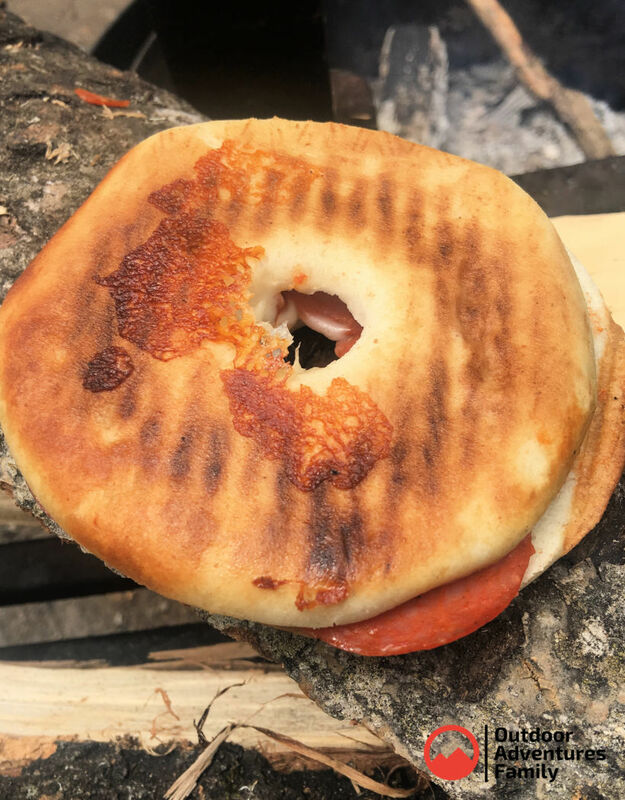 Then, assemble your bagel pizza inside the pie iron by placing one half of the bagel thin in the pie iron. 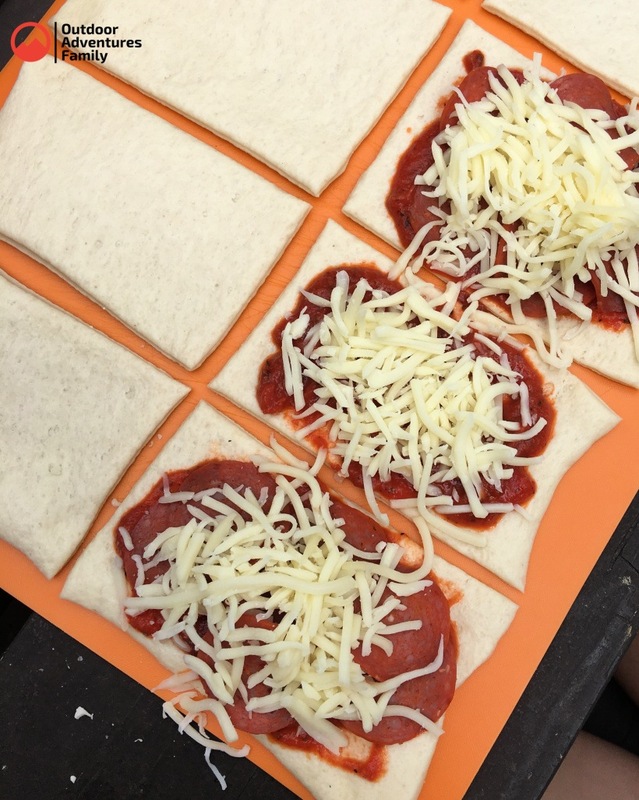 Then, add pizza sauce, cheese and toppings. Finish by adding the other half of the bagel thin on top. Place your pie iron over the fire or in the hot coals for 3-4 minutes on each side. Check for doneness and cook longer if necessary. 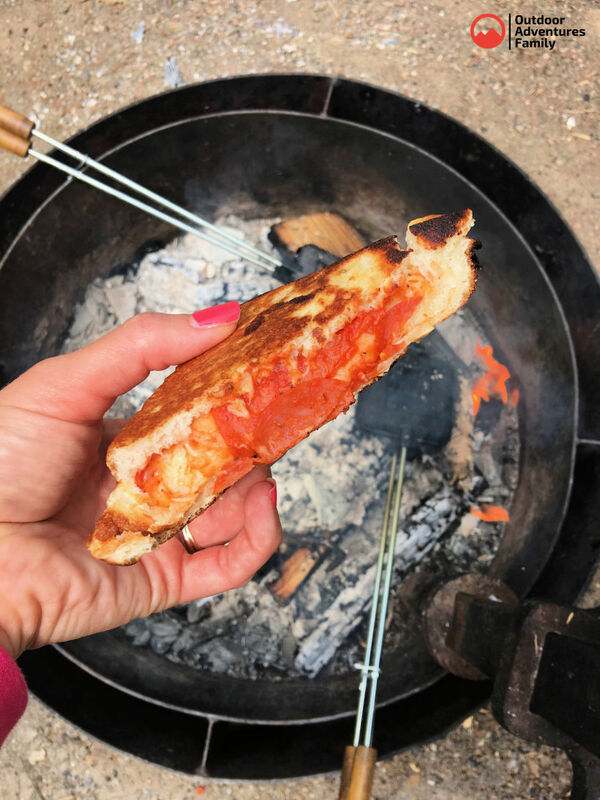 This method of making campfire pizzas is the most traditional and uses white bread as the crust. It cooks to a delicious, crispy crust that tastes great! Begin by greasing your pie irons on each side. Butter one side of the bread and place the buttered side down, in the pie iron. Top with pizza sauce, mozzarella cheese and toppings of choice. Butter the other piece of bread and place it on top, with the buttered side facing out. Close the pie iron and cook over the campfire or in the hot coals for 3-4 minutes on each side. Check for doneness and cook longer if necessary.